Scott Stadium will be in a rare mood on Saturday, with a sellout crowd as the backdrop for the 2015 home opener for UVA as the Cavs host #11 Notre Dame. Logic would seem to dictate that yet another losing season for UVA football under Mike London would bring about a financial impetus for change. 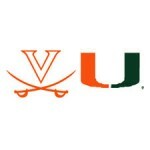 The UVA defense held a potent Miami attack in check, and put in a surprisingly dominant effort in the second half in a 30-13 win over the favored Hurricanes on Saturday night in Scott Stadium in Charlottesville, Va.
UVA (4-6, 2-4 ACC) hosts Miami (6-4, 3-3 ACC) in an ACC Coastal Division matchup on Saturday in Scott Stadium in Charlottesville, Va. Kickoff is set for 7 p.m. Highlights from the postgame press conference with Virginia Cavaliers football coach Mike London after UVA’s 28-27 loss to North Carolina on Saturday in Scott Stadium in Charlottesville, Va.
For the umpteenth time, UVA dominated an opponent statistically. 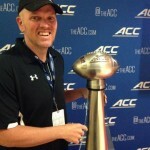 For the fourth time this season, an opponent outplayed statistically walked away with the W.
Augusta Free Press editor Chris Graham will be in the press box at Scott Stadium in Charlottesville, Va., for Saturday’s ACC football game between UVA (4-3, 2-1 ACC) and North Carolina (3-4, 1-2 ACC). UVA Sports Today: Can the ‘Hoos get a must-win against UNC? 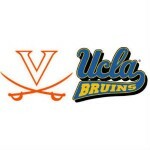 Host Jeff Fife and Augusta Free Press editor Chris Graham bring you UVA Sports Today. 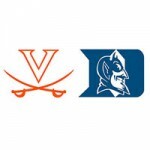 This week’s podcast begins with a look back at Virginia’s 20-13 loss at Duke. Jeff questions Chris on his column referencing quarterback Matt Johns as the man at UVA and questions whether Greyson Lambert needs to be reinserted as the starter. The Atlantic Coast Conference announced today additional dates the Notre Dame football team will face conference opponents in future schedules. The Fighting Irish and Cavaliers are slated to meet three times between 2019 and 2024. UVA football coach Mike London talks with reporters on Monday. 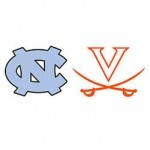 Virginia (4-3, 2-1 ACC) hosts North Carolina (3-4, 1-2 ACC) on Saturday at 12:30 p.m. at Scott Stadium in Charlottesville. UVA football coach Mike London talks with reporters after the Cavs’ 20-13 loss at Duke on Saturday at Wallace Wade Stadium in Durham, N.C. Remember when it was shameful to say that your football team lost to Duke? 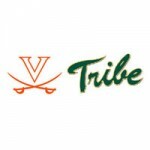 Entering the 2008 season, UVA football owned Duke, as to that point the rest of the ACC had, with Virginia having won 17 of the last 19 in the series. 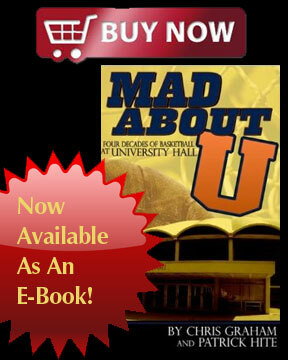 Which made the 31-3 beatdown that the Blue Devils handed to the ‘Hoos in ’08 so shocking. UVA raced out to a 24-3 halftime lead, but Pitt hung around until the late stages before finally falling, 24-19, before 43,307 in Scott Stadium in Charlottesville, Va., Saturday night. UVA defensive end Eli Harold said last week that he wanted to see a white-out for Saturday’s key ACC clash with Pitt in Scott Stadium. Harold is getting his wish, sorta, kinda. UVA (3-2, 1-0 ACC) hosts Pitt (3-2, 1-0 ACC) Saturday at 7:30 p.m. at Scott Stadium in Charlottesville, Va. The two programs released their weekly injury reports on Thursday. 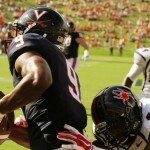 Meaningful October football: Can UVA get leg up on ACC Coastal race? How long has it been since UVA Nation was getting ready for a meaningful fall football game in Scott Stadium? It turns out that 2011 was only three years ago, but it feels like forever. UVA (3-2, 1-0 ACC) hosts Pitt (3-2, 1-0 ACC) in ACC football action on Saturday night in Scott Stadium in Charlottesville, Va. The Panthers make their first-ever ACC trip to Scott Stadium and third overall. 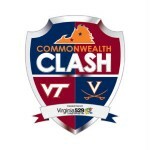 UVA was outplayed in a sloppy first half by heavy underdog Kent State, but took control in a dominant third quarter and ultimately coasted to a 45-13 win in front of just 33,526 fans at Scott Stadium in Charlottesville, Va., on Saturday. Augusta Free Press editor Chris Graham will host a live blog during today’s non-conference game between UVA (2-2, 1-0 ACC) and Kent State (0-3) in Charlottesville, Va.
Game notes for Saturday’s football game between UVA (2-2) and Kent State (0-3). Kickoff is 3:30 p.m. at Scott Stadium in Charlottesville, Va.
UVA converted a late Louisville turnover into a 42-yard Ian Frye field goal with 3:42 to go, and the ‘Hoos defense put up a last-drive stand to complete the 23-21 upset of #21 Louisville on Saturday at Scott Stadium in Charlottesville, Va.
Augusta Free Press editor Chris Graham is in the press box at Scott Stadium in Charlottesville, Va., for today’s ACC football game between #21 Louisville (2-0, 1-0 ACC) and UVA (1-1, 0-0 ACC). Try as I might, I can’t convince myself that UVA can pull it off this weekend against #21 Louisville. Augusta Free Press previews the UVA-Louisville football game on Saturday: with broadcast information, game notes and links to AFP previews. If ever there was a time that a football team needed its home-field advantage, it’s this Saturday with UVA getting ready to host Louisville. UVA football coach Mike London talks with reporters on Monday. The Cavs host Louisville on Saturday in Scott Stadium in Charlottesville, Va.
UVA transfers Michael Strauss and Michael Rocco threw for a combined 363 yards, but Richmond turned the ball over seven times, and Virginia made the Spiders pay in posting a 45-13 pasting before 34,533 fans and 30,414 empty seats in Scott Stadium on Saturday.